Happy Birthday to my favorite Crustacean! 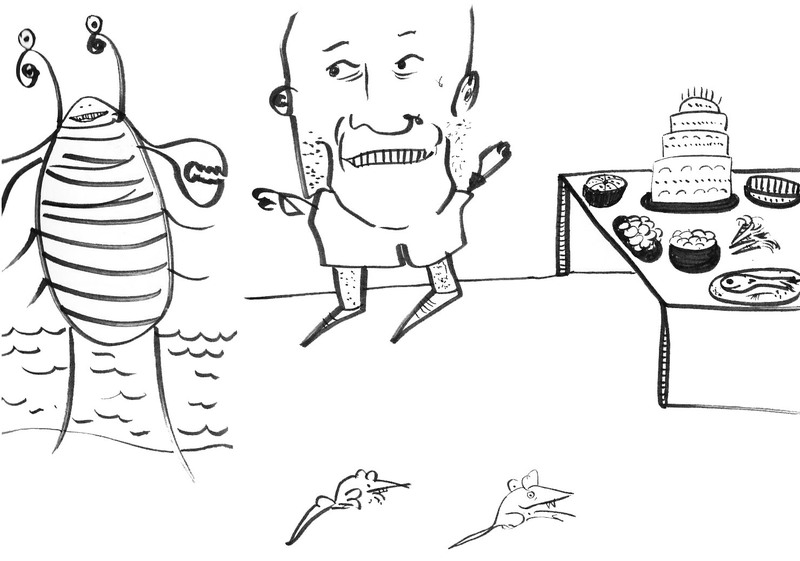 The Crustacean is suspicious of Mr. Nilsson’s motives. It’s something about the way he smiles — so greedily! Also, it’s not his birthday. The Crustacean makes an excuse — he sees an old friend across the beach. Mr. Nilsson wheedles, but the Crustacean has already skittered off. Oh well… this beach is crawling with Crustaceans!